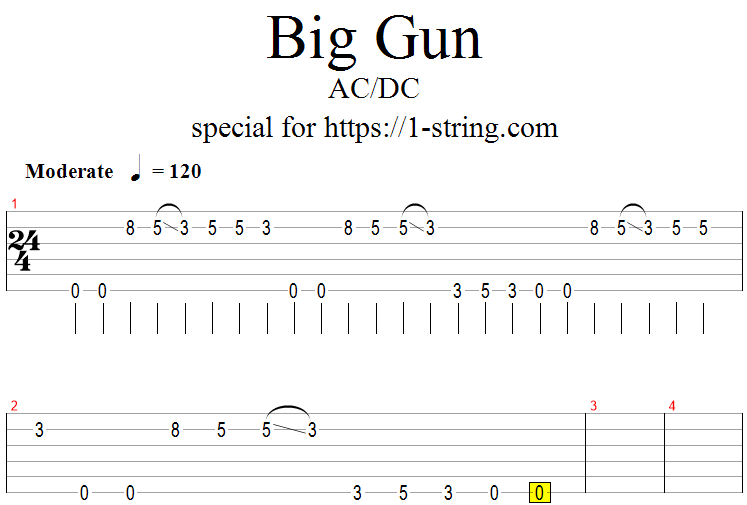 In this lesson I show you how to play riff AC/DC – Big Gun on one guitar string. I sure you heard the main theme of this song! It’s very popular! Play on the low “E” and “B” string. Tabs are medium difficulty.